Calls for a food revolution, fake alcohol in Kenya, Dubai food-testing services, formaldehyde-laced meat, fake fruit, and a Hong Kong blockchain project. A British food safety expert has called for a “revolution” in food integrity to reshape the food supply chain in the face of Brexit, according to Food Manufacture. Professor Chris Elliott, from the Institute of Global Food Security at Queen’s University Belfast, presented six principles at the Oxford Farming Conference that he believed would improve the national food supply system in the future. The six principles included: producing safe food and reducing foodborne illness; producing authentic food and cracking down on food fraud; producing nutritious food; producing sustainable food systems; producing food to the highest ethical standard; and respecting the environment and those who work in the food industry. A lobby group in Kenya has called on the country’s president to tackle the “intricate web of illicit alcoholic drinks rackets involved in ethanol smuggling” across the Kenya-Tanzania border, Capital News reported. The Futa Magendo Action Network, which presented a petition to several authorities, also claimed the illicit industry was using fake Kenya Revenue Authority stamps to evade tax and was making big profits at the expense of genuine manufacturers. The group called for the use of electronic barcode scanners to determine the authenticity of the tax stamps, stiffer penalties for unscrupulous traders, enforcement of compliance measures, and new regulations around the package, storage and transport of neutral sprits such as ethanol. Dubai has launched three food-testing services to ensure the quality and safety of food and to prevent fraud. 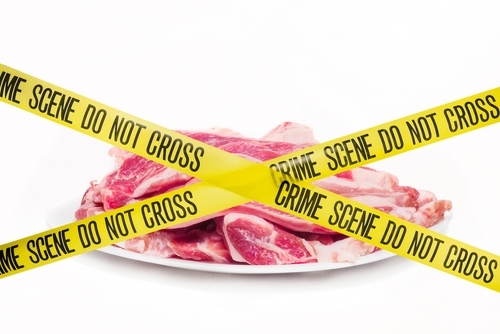 According to FoodNavigator-Asia.com, the three services will detect commercial food fraud in fresh and cooked meat, assess the shelf life of food products, and detect bacterial pathogens such as salmonella and E. coli. Several media outlets in Uganda have made claims alleging that butchers in the country are lacing meat, chicken and fish with chemicals to extend shelf life, such as dead-body preservative formaldehyde. The Ugandan Observer reported that six people were convicted and sentenced to eight months in jail. However, the Ministry for Agriculture, Animal Industry and Fisheries said in a statement that the Ministry “has not ascertained these reports or the nature of chemicals (if at all being used)” but had embarked on targeted food surveillance to assess the claims with samples of beef, goat, mutton, pork, chicken, eggs and milk being collected from retail outlets for testing. In response to the claims the Ministry is also spearheading a campaign to bring together the whole food chain to tackle the problem, it said. Thirteen people in China have been convicted of selling nearly 1.1 million pieces of counterfeit imported fruit in separate scams, that’s magazine says. The defendants were alleged to have used fake sticker labels featuring the trademarked logos of Dole, Zespri, Sunkist and other brands from the US and New Zealand and selling the fruit with marked up prices both online and in markets. The Hong Kong Special Administration Region has approved a blockchain technology project aimed at food and drug safety issues, and will invest HK $6 million ($700,000). Developed by tech firm UBI Blockchain Internet Ltd and The Hong Kong Polytechnic University, the project aims to prevent counterfeit food and drugs through the use of blockchain technology by tracing the product from its original source within the context of the Internet of Things to the final consumer. The project is expected to be completed by the second quarter of 2019, UBI said in a statement.